When a car accident leaves a teenage girl in a coma, her surviving sister struggles with grief and guilt as she faces the inevitability of moving on — and letting go.To seventeen-year-old Rose, it seems it keeps happening - that car crash on a mountain road, her older sister, Ivy, behind the wheel, the same Ivy who is now in a coma with only the WISHHH of a respirator keeping her alive. Mom refuses to believe that Ivy is gone and won't even visit, spending her days at the brewing factory and her nights in the mindless weaving of potholders or folding of paper cranes. It's up to Rose and family friend William T. to make the daily vigil to Ivy's bedside, where Rose reads aloud from a book on the sudden destruction of ancient Pompeii. More and more, she has the frightening sense that there are rivers inside her threatening to overflow their banks. 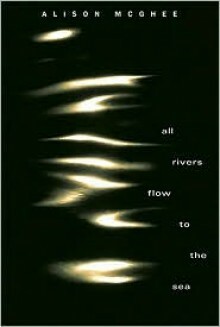 In an effort to feel something - anything - else, she takes to meeting a series of boys at the gorge while her mind drifts away like a hovering bird, watching her actions below.Heart-rending, honest, and ultimately hopeful, this first young adult novel from the acclaimed author of SHADOW BABY and SNAP is the poetically told story of a teenager overwhelmed by trauma and loss yet steadied by loyal friendships and, finally, the solace of first love.